So you are looking for a new gaming laptop and that too under a budget of Rs. 30,000? Above are the basic necessities for a laptop which will be decent enough for entry level gaming because let’s be true the budget of Rs. 30,000 ain’t exactly a fit for a high end gaming laptop. But don’t be disappointed since we have found a laptop decent enough to be called the best gaming laptop under 30000 in India in 2019. Asus Vivobook X507UV is one of the rare laptops under 30000 which we can call a proper budget gaming laptop. Let’s see why this is true. The Asus Vivobook series laptops are already selling like crazy in other parts of the world and even in India with high end configurations like core i5 processor and upgraded GPU. Design wise, it’s a personal choice but the metallic brushed design is a delight to look at. However on closer look you can see that it’s plastic and not metal. Well that has to be expected considering some budget cut to include a better configuration. The quality of the plastic used by Asus is however a good one and to be true, it feels like a premium device when you get used to it after a few days. The keyboard design on this laptop is a full sized one. The keys are therefore well spaced and its a delight to type on. This design definitely helps students for typing college assignments or essays. The trackpad area is huge compared to other laptops which some users will be happy to have some place to rest their hands. The gesture and touch response of the trackpad is excellent too but you might have to install the right touchpad drivers to enable the smooth response. The Vivobook is powered by a 7th Generation Core i3 processor with a clocked speed of 2.4 GHz and model number 7100U. A 2400MHz DDR4 RAM naturally adds to the performance. We would definitely suggest to add another 4GB RAM since it increases the performance of the laptop by huge margins. 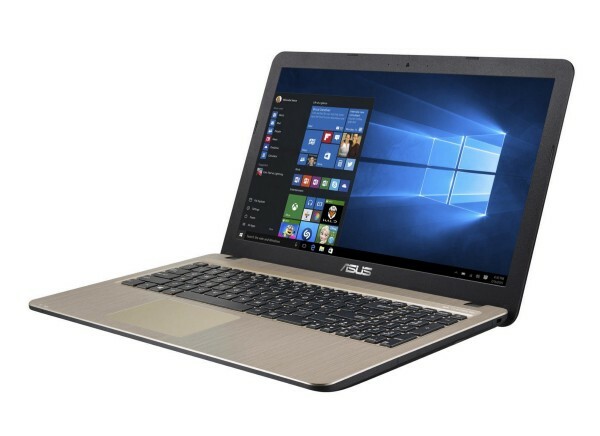 We can also say that Asus Vivobook is the best gaming laptop under 30000 with graphic card since no other laptop under this budget offers a dedicated graphics card. The hard drive is 1TB in size and the speed is of 5400 RPM. Apart from adding another 4GB RAM stick we would advise to add a SSD to this laptop. It will cost you back another Rs. 2000 but the difference in gaming and daily use will be surprisingly higher. The display is good enough with a 15.6 inch display with an HD resolution. Don’t go for full HD resolution under this price point since it will make the laptop slower as the graphics card will have to work hard compared to an HD resolution. The brightness levels are good and watching movies or your favorite episodes will be a delight. One thing you might not like about this device is that there is not preinstalled windows OS on this machine. But if you own a discounted copy of Windows 10 you can easily install it on the machine. The speakers are good and loud enough to enjoy the music seamlessly with a range of ports like USB 3.1, USB 3.0, an HDMI port and the USB 2.0 port. The rated battery life of the Asus Vivobook is 4hrs since the graphic card will also be using the battery a lot but if you are gaming then using a power adaptor will be a good choice. We think that the Asus Vivobook X507UV is the best entry level gaming laptop under 30000 in India. With a powerful 7th Gen Core i3 processor, a decent display and a dedicated Nvidia graphics card this laptop will satisfy your gaming urges on the budget.